Start ratings come in handy for websites with products and service websites. With five stars being the highest quality and one for the lowest. That helps the user or customers to get a rough idea of the quality of the product/service. Anyway, for developers, we have collected 15+ star rating snippets. Including SVG, Unicode, and FontAwesome icons with emotion and smooth animations. A CSS rating system that changes the facial expression based on how many stars are chosen. 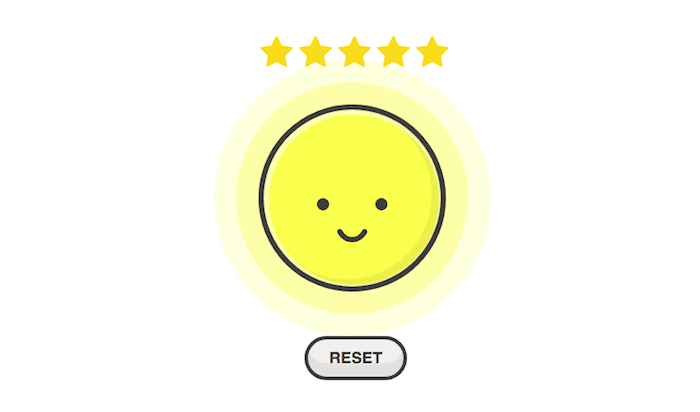 Simple rating snippet with using an SVG image for the stars and clean animations. Rating card with facebook emojis. Used .png files for emoji icons so no need to load 3rd party CSS font icons. A rating snippet with facebook emojis. Used .png image files for emojis, no need to load font awesome or 3rd party libraries. 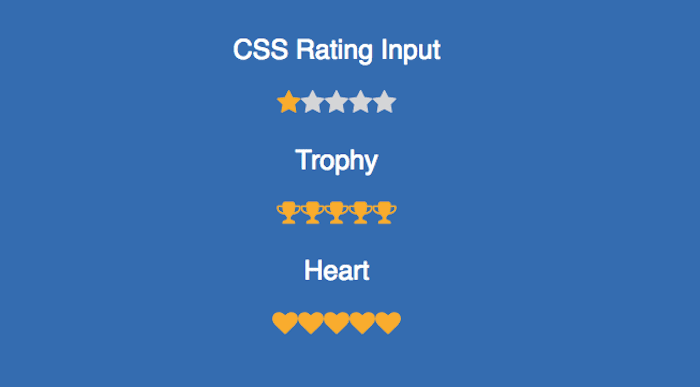 Emoticon five-star rating through Font Awesome in pure CSS. Pure CSS rating via CSS custom properties as API. Nice star rating with font-awesome.css. Used FontAwesome icons and Pure CSS star rating that works without reversing the order of inputs. 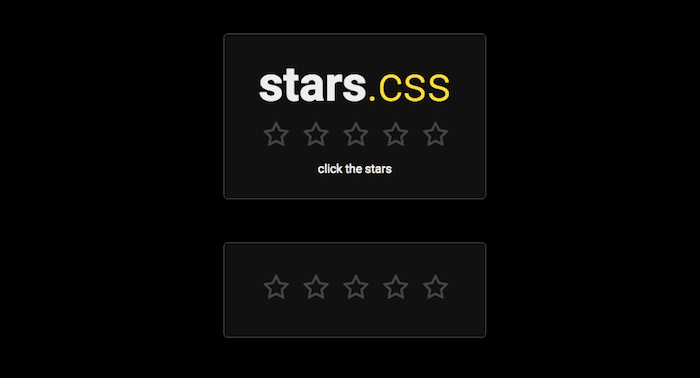 Star ratings made with pure CSS. 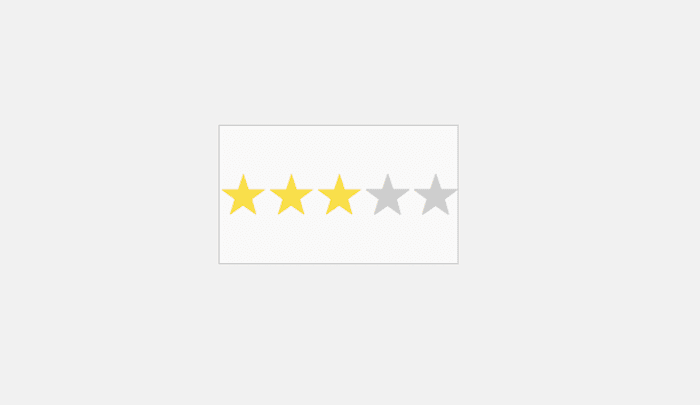 Stars will highlight on hover and you can also click on the star rating and display that rating. Made form input fields so the form can be processed. 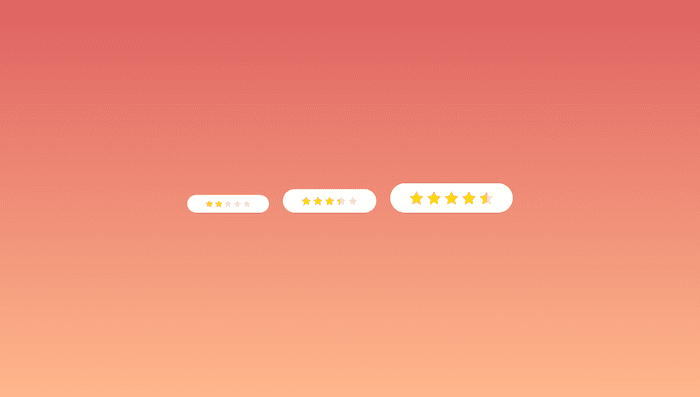 A star rating system that works in email clients (including Gmail!) Hovering over the stars fills in the correct amount. Each star is an anchor tag which can then be linked to different rating URLs. Simple rating snippet with reset option using FontAwesome icons. Minimal CSS rating snippet with Unicode. Supports IE7+. Icons with HTML Unicode, Minimal code as well as the design. Pure CSS snippets with font awesome icons. The rating with 0 to 10 scale. Made with pure HTML & CSS. Used radio buttons for rating numbers.